Whatever the architectural style of your renovation project, choose a floor tile to sympathise with and compliment it, and you have a winning formula for a successful property design. Houses in the UK come in many different architectural styles. Be it a Georgian, Edwardian or Victorian period property, or a modern New Build, a handsome town house or a humble terrace, there are likely to be plenty of distinguishing features. Inside, a property might be bare of any architectural embellishment or it could be full of interesting features, such as sash windows, ceiling roses, cast-iron fireplaces and cornicing, which will showcase the architectural heritage of the property. 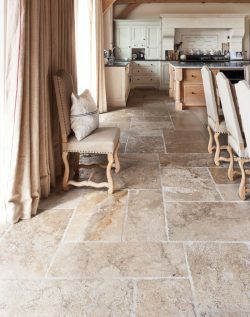 Whatever the style of the property you are working with, stone floors can make a powerful impression and give a sense of permanence to the property. But, match the style of your stone to the architectural heritage of the property, and you will considerably increase its style quota. For instance, Victorian homes, which make up the majority of period homes in the UK, may have retained their elaborate mouldings and decorative details. To compliment these stunning features, Victorian interior decorators would have laid encaustic, patterned floor tiles, monochrome pattern or terracotta. The Georgian style had a classical feel to its architecture. It was characterised by clean lines and delicate furniture and was less ornamented than other period styles. Georgian colour schemes were pale and understated – soft and pale greys, greens and whites. A wood or wood-effect floor would suit this style perfectly. That said, the modern eclectic style of interior as a mix and match of different styles in becoming increasingly popular, but this should be considered carefully. 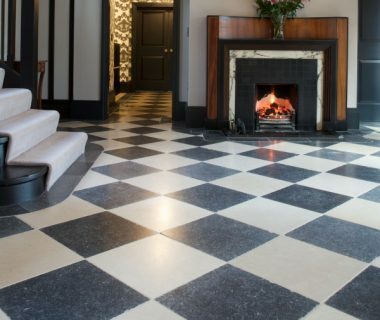 To install a modern geometric pattern or a dark grey polished floor tile in a Georgian house will take a little thought and there is the risk that it might not necessarily work with the style of the property. 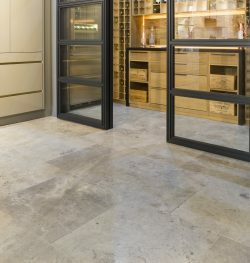 But to lay a floor tile that compliments this style goes a long way in creating a stunning and cohesive property. For a new modern home – a blank canvas in terms of design – almost anything goes. However, a home that is devoid of features lacks personality. In this case, you might consider installing a floor with some colour or pattern to avoid the property looking too bland. 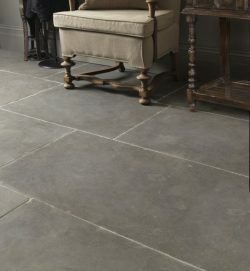 You may choose to install a floor that is reminiscent of Victorian styling, or perhaps a glossy modern material like polished porcelain to maintain the property’s contemporary feel. The style of the house is a canvas against which everything else is set. Installing a floor tile that is at odds with the architectural style of the house has the potential to look wrong, and could ultimately detract from the success of the overall feel of the property. But choose a floor tile that is sympathetic to the existing features of the house, and you have a successful renovation project.